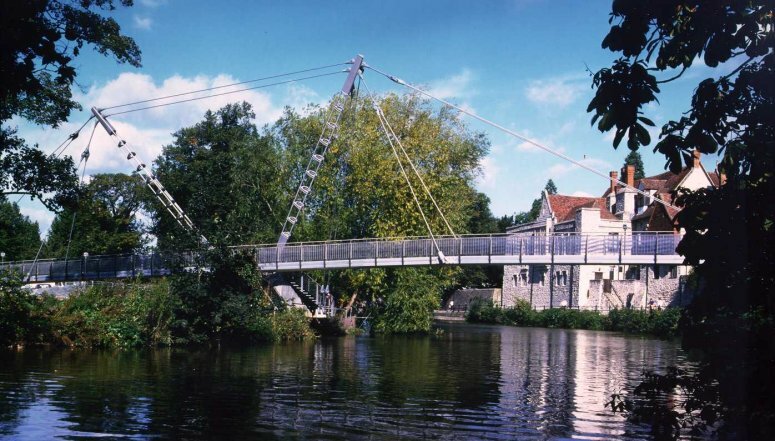 This innovative, cable stayed, aluminium bridge spans the River Medway in Maidstone, Kent and was the winning entry in a design competition. Designed by Flint and Neill in conjunction with Wilkinson Eyre Architects, the slender aluminium deck system and the inclined skeletal steel masts combine to achieve a lightness which minimises the visual impact on the important historical buildings adjacent to the site. Situated in what has been described as one of the most environmentally and historically sensitive locations for a bridge in the UK, this site demanded an elegant response to the problem of crossing the River Medway and its flood plain. 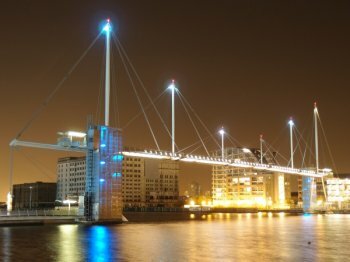 FNPs winning design adopts an innovative cable stayed aluminium deck to maximise the slenderness and transparency of the bridge which is 80m long and also features twin skeletal steel masts. The parapets are made of carbon fibre and stainless steel, and the whole bridge is designed to minimise long term maintenance requirements. The aluminium deck is made up of extruded sections prestressed together for easy assembly, without the need for any added secondary structure or finishes. Flinit & Neill is regularly involved in projects involving advanced analytical techniques to solve complex engineering problems, and has developed many of its own specialist computer programs to meet these needs. 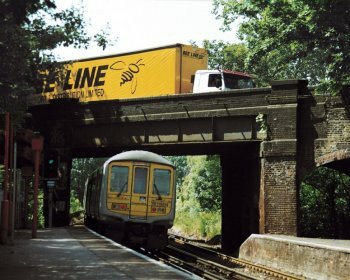 However, for the Lockmeadow Footbridge project, FNP used LUSAS Bridge to perform a number of response time history analyses in order to predict the dynamic response of the deck when subjected to the moving loads of UK design code BD 37/88. Flint and Neill Partnership is committed to being in the forefront of developments in bridge technology worldwide. 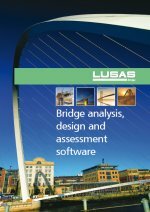 It is actively involved in advancing computational methods of analysis, using software such as LUSAS, as well as leading the way in other aspects such as aerodynamics, risk assessment, materials technology and construction techniques; all the time ensuring that any innovations they pursue are firmly based on established and proven engineering principles and practice.